The first thing to consider when choosing a hamster would be whether having a hamster would be a good thing for your family. Once you make a decision to adopt the hamster then you need to choose which type. You can buy one from a pet store, a neighbour, and even a breeder. Don’t use those services that sell them using the mail. You can never be assured of the quality and health of the animal and it would be torture to them. You should be prepared to accept that a hamster is not a daytime animal. Hamsters are nocturnal, but has 2 active times. One is in the morning and one is in the evening, which are also the times that people are home, making hamsters the perfect pet for a family. You must get as large a cage as you possibly can have for your hamster. You need to make sure people in your household don’t have an allergy to animal hair or dust, for that matter. You need to find someone who will take care of your hamster in case of you being gone. If you decide to travel with your hamster, be sure that you take heat, cold, noise, and draft into consideration. Another thing to consider is whether you have time to take care of your hamster. They really like having a clean cage and fresh water daily. It takes time to care for your hamster. Do you have the proper equipment for your hamster to exercise on? Be sure other pets in your home are ok with the hamster. Food and other things can add up expenses rather quickly. Be sure you can financially take care of this new member of your family. Also, make sure that you have done your research and homework about these prospective members. Don’t make a hamster a surprise gift, because that’s a dangerous presumption. The first thing to do when choosing the hamster you wish to adopt would be to look at the cage. Check the conditions in which they are being kept. The cages should not be overcrowded. 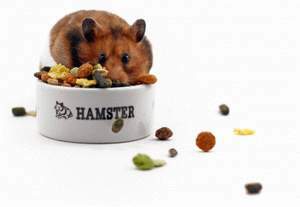 The cage should be clean and the hamster should have the ability to get to plenty of food and water. The hamsters should be in their own gender cages, male and female. The ideal age for your hamster should be between 5 and 6 weeks of age. They should not be younger than this when sold. 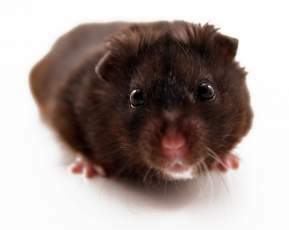 Check to see if your hamster is alert when it’s in the waking hours and that it’s bright eyed. It should not be real nervous and be very inquisitive. If the hamster has any of the following, then you don’t want them: runny nose, runny/sticky eyes, sneezing, wet/dirty bottom, fur that is matted, lethargy, and its body is not firm. These are all signs of a sick hamster. When you find the hamster that is healthy, you can ask to handle it to see how tame. If you are not allowed to handle the hamster then you will not know whether it will be healthy or be able to see if it is suitable for your home. Once you select the hamster, you still have things that need to be taken into consideration. Do you want one or two of them? You need to know that hamsters are not social they live solitary lives. Males and females only get together when they want to mate. When the hamster has babies, it only stays together with the babies for a few weeks. If you want a male hamster, you might hand-tame it quicker than having a female. Make sure you start out with a young hamster. There are some basic rules when adopting a hamster. Choose your hamster from your head, not heart. You will be much happier, as well the hamster. Be sure to set up his space before you bring him home. The room needs to be quiet in order for him to settle quickly. Be sure to examine your hamster completely before taking it home. Try to arrange a quick visit to your vet before heading home. Once you’ve purchased your new member, be sure to make its transport safe. If you put it in a clear plastic container with a list and handles you will make it feel secure. That would be the best way to take your hamster home. If you are making a short trip, then you don’t need to give it food.